This is a sentiment we often hear repeated by scientifically-trained friends and colleagues who feel somewhat disillusioned by the not-inconsiderable gap between academically-approved forms of mechanistic thinking and millions of people’s experienced reality. Fortunately, more and more organizations are respecting people’s experiences rather than just buying into the loudest ‘voice in the room,’ which, as far as microwave radiation (wifi) is concerned, is currently the collective one with links (involving vast amounts of money) to the telecoms industry. In April 2016, the mayor of Haifa, Yona Yahav, announced that the city, the third largest in Israel, would immediately be removing Wi-Fi from its schools, saying, “When there is a doubt, when it comes to our children, there is no doubt.” Obviously, a man who listens to people’s real-life experiences rather than toeing the ‘scientific,’ (read ‘industry’), party line . . . Even as far back as 2007, the German government recommended that people should keep their exposure to radiation from Wi-Fi ‘as low as possible’ by choosing “conventional wired connections.’ The government’s official radiation protection body also advised German citizens to use landlines instead of mobile phones, and warned of “electrosmog” from a wide range of other everyday products, from baby monitors to electric blankets . . .
problems falling asleep and staying asleep, chronic fatigue, headaches, migraine, vertigo, tinnitus, unhealthy blood pressure levels and arrhythmias, concentration and memory problems, learning and behavioural disorders and a more frequent incidence of ADHD among children. Numerous studies of independent scientists have now confirmed many of these observations made by physicians. 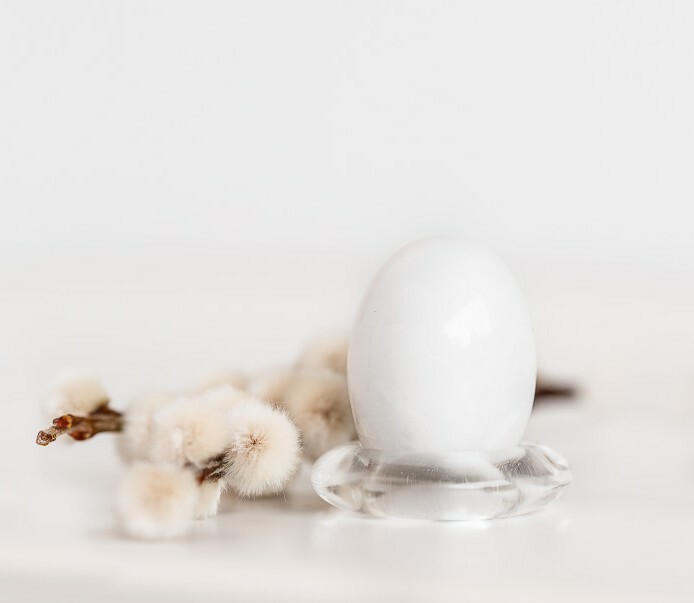 Meanwhile, in the real world – as opposed to the worlds of scientific debate and commercial agendas – thousands of people have been using the Guardian Energy Egg. Several hundreds of Energy Egg owners have even kindly provided us with some feedback . . .
Basically, commercial politics – governments are being paid £$billions by the telecoms industry – notwithstanding, there are those who rely on theories and those who trust their real-life experiences. Having seen tens of thousands of Life Energy Solutions clients recover their health, I have no doubt it is the latter group that has by far the best prognosis for successful recovery from wifi-induced symptoms and for maintaining long-term well-being. Concerned parents are becoming increasingly aware of the health risks associated with WiFi radiation. And, most recently, the potential damage to children who are exposed to Wifi both at school and at home. 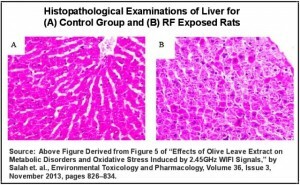 Headaches,dizziness, fatigue, irritability or insomnia can be the first signs that your child or yourself have been affected by ‘WiFi stress.’ More worryingly, altered white blood cells, childhood leukemia and impaired motor function have also been shown to increase in children who have been exposed to WiFi radiation within limits set by UK government guidelines. Although the UK government is, unfortunately, still in the ‘denial’ phase of acknowledging harm from continuous exposure to low levels of pulsed microwave radiation, (of which WiFi is one form), other governments are starting to pay attention. For example, France is banning WiFi from nurseries and restricting its use in primary schools. Watch this interesting video from Dr Erica Mallery-Blythe on electromagnetic emissions and the dangers for children. 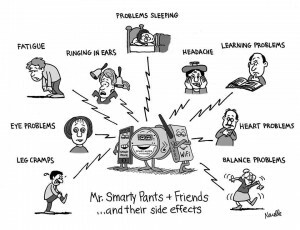 WiFi Allergy – It’s ‘All In Your Head’ . . . and your liver, heart, gonads, pancreas . 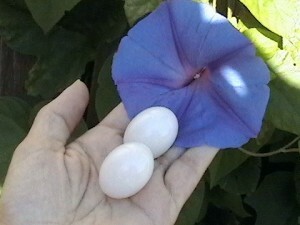 . .
What do these four items all have in common? . . . They all have the same WHO health classification – 2B – or ‘possible carcinogen’. However, three of them are BANNED but one – WiFi – isn’t . . .
All this makes for depressing news, but there are ways to help protect yourself or your loved ones against the damaging effects of Wifi radiation. Don’t use Wifi for your internet connection. Most people don’t realise they don’t need it. Instead connect at home using an Ethernet cable between your computer and your router. If you need to share the internet around your home, use DLAN plugs – available everywhere. Don’t forget to switch off your WiFi after you’ve cabled up. Follow this link to get your own free downloadable Disabling WiFi instructions. 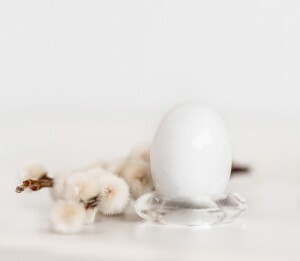 Purchase an Omega Energy Egg set for protection against, and for reducing symptoms associated with, WiFi and other forms of electromagnetic radiation. Replace your cordless (DECT) landline phones with corded ones. Most cordless telephones give off microwave radiation whether or not they’re in use and are as bad, if not worse, than mobile phones. Siemens ‘Eco Plus’ models are an exception..
IT’S TIME TO FEEL BETTER – Order an Energy Egg Today! I recently read a newspaper ‘report’ claiming that ‘leading scientists’ – presumably ones receiving funding from the telecomms industry with contacts in the media – believe that symptoms claimed to be caused by wifi exposure are all in people’s heads . . . Translation – A short-term, minimal exposure to wifi is Very Bad News. And, by the way, diabetes (not to mention allergies) is already a ‘pandemic – and growing. Of course, you might say, “I’m not a rat, so what’s the problem?” Well, I’ve got news for you – you are. 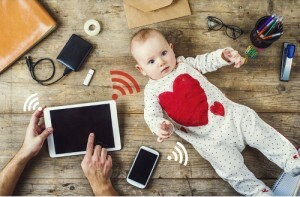 You and your children – if you have any, bearing in mind that Wifi also attacks fertility – are unwitting ‘rats’ in the government’s uncontrolled ‘experiment’ which is earning it billions of pounds of revenue every year. It was £20 billion a few years back. But now I’m told it’s a great deal more . . . Even though Wifi is classified by the WHO as a ‘possible carcinogen’ (2B) – the same as DDT (banned), asbestos (banned) and tobacco smoke in public buildings (banned), scientists who aren’t funded by industry or the government say it should really be re-classified as a ‘probable carcinogen (2A).’ Or simply, as a ‘carcinogen.’ Yes folks – it really is that bad . . . When the government learned of the dangers of tobacco smoke in the 1950s, the British Prime Minister, Harold Macmillan, ignored evidence of a link between cigarettes and lung cancer for a long time – he said the government ‘couldn’t afford’ to let the public know. Since then, who knows how many millions of people have died from lung, heart, bladder, kidney, etc. disease as a consequence of the government’s prioritisation of its money over your health. This is why you will keep seeing the ‘news’ that symptoms from Wifi are all in your head; your baby is screaming because it’s a hypochondriac; and you are a ‘luddite’ or just stressed if you are losing your memory or lying awake at night unable to get to sleep . . . two common symptoms of Wifi poisoning. Meanwhile, as Professor Olle Johannson of the world-famous Karolinska Institute says, ‘Health Risk From Wireless? The Debate Is Over.” The reasons for dementia now starting in people in their ’40 are staring us in the face. It’s just a matter of how much you are willing to recognise reality . . . When you read about ‘experts’ talking about a ‘lack of scientific evidence’ you are being exposed to politics – politics that is designed to keep you complacent. Nowadays the word, ‘science,’ is commonly used as a means of manipulating public opinion. It isn’t a conspiracy. It’s just a way of avoiding the extremely costly – to the government and the telecomms industry – elephant in the room. The longer you believe Wifi is okay, the longer you’ll keep ‘smoking’ it . 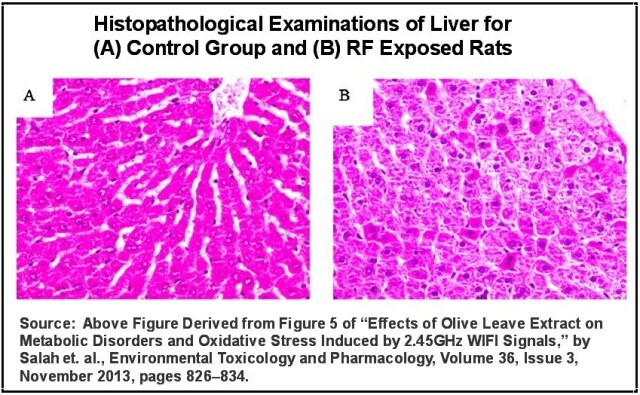 . .
No doubt you noticed that the above images come from a study of the (beneficial) effects of olive leaf extract on the damage caused by Wifi. So you might want to believe that popping some olive leaf extract every day will keep you safe . . . it won’t. Sure, it helps – just as vitamin C can help protect your heart and lungs against the damage caused by cigarette smoke – but this is like attempting to keep dry with a small umbrella in an endless rainstorm . . . Unlike the rats, chances are you are being exposed to multiple Wifi signals 24 hours per day 7 days a week . . . for how many years so far? Just as for smoking, the solution is to switch it off – the router nearest you (i.e. your own) is usually the worst. Then start educating your neighbours. No ‘authority figures’ (like the government) are going to help you – they are too invested, literally, in your staying hooked on this technology. Nowadays, in the Life Energy Solutions Clinic, we see a constant stream of people who are ill from Wifi. And they usually have no idea it’s causing half or more of their symptoms . . . So do yourself, your family and your neighbours a favour and go back to using a cable for your internet connection. Or, with D-LAN plugs, you can share access to the internet in your home through your home’s electrical system rather than via microwaves through your brain. At the very least, switch your Wifi off at night when your brain is most vulnerable to it. Ironically, even though modern routers come with Wifi automatically switched on, no-one needs it except when they happen to travel with their computer, or if they have a smartphone they ‘must’ use to get online at home. So people are being irradiated at home for no real reason at all . . .
By the way, we tend to be fairly ‘leading edge’ when it comes to new computer technology. We couldn’t wait for the ‘wireless office,’ so we got a wifi router as soon as they became available. And, by the afternoon of the same day, we’d switched it off . . . That was quite a few years ago now. You don’t need to wait for official, ‘scientific,’ announcements if you develop sufficient awareness of your own energy. We could see, almost immediately, how wifi affected the nervous system, adrenal glands, thyroid, heart, etc., etc.. It wasn’t a pretty sight. And with more powerful technology – e.g. BT Wifi with FON or Comcast’s XFinity – irradiating everyone in a nationwide wifi ‘mesh,’ it’s a lot worse now. So in case you would like to have more ability to benefit your or your family’s health, by learning how to become aware of exactly what’s affecting you – positively and negatively – and what to do about it, there are just two places left [at the time of writing this blog post] on the Life Energy Awareness Training – now called Awaken Your Energy Awareness (day 1) and Recover and Protect Your Energy (day 2). However, nowadays, it can be tricky – e.g. BT Wifi with FON has to be switched off in two different ways, both the ‘in your home wifi’ and the bit of your broadband wifi signal they use to beam out of your house so that every BT customer in the street can log on wherever they are. Yup, they’re using your internet connection that you pay them for to provide the nationwide wifi mesh. Or just get a router with a Wifi On/Off button; or buy one without Wifi from eBay. Whatever it takes, it’s worth it. Alternatively, if you need help with all this, contact the Life Energy Solutions Clinic for a short session and we’ll help you sort it out. 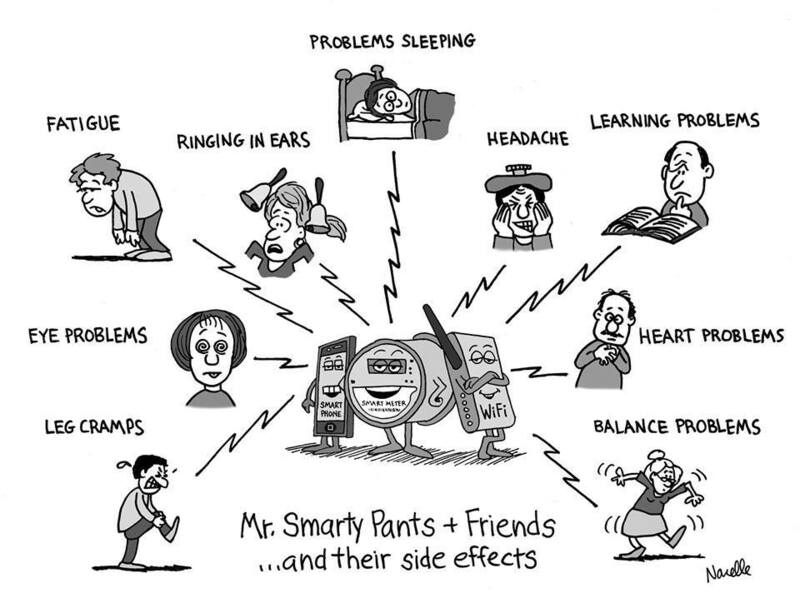 And, in case you’re wondering, some of the most common symptoms of Wifi poisoning include . . .
Good luck with protecting yourself and your family from this most insidious threat to your health and well-being. Fact is, it’s the nature, (not the strength), of Wifi that’s the real problem – it’s a pulsed microwave signal of a particular kind. Given the choice, we’d ‘live with’ a mobile phone signal (as long as its source isn’t too close) a lot sooner than any form of Wifi. Nevertheless, keep your phone on ‘airplane’ when you aren’t using it. And use the speaker with the phone held away from you whenever you possibly can.